What is a zip file and how to do I unzip it? 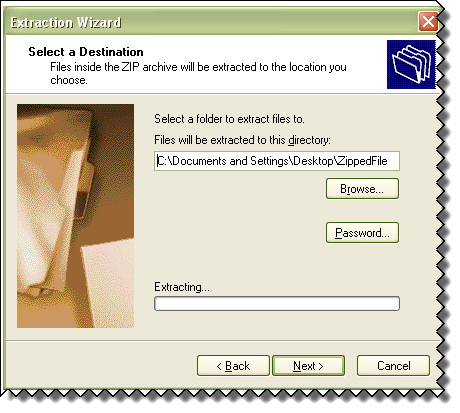 Zipped files are compressed, saving space. This makes transferring the file faster as it is not as large. Most zipped files end with the .zip extension. Windows XP has a standard utility for unzipping files. In the window that opens, click Extract all files. In the Select a Destination panel, select the location where you want the folder to be placed, for example, the Desktop. Click Next.